This webbing support trolley is for boats up to 12 foot 6 inches or 3.8 meters long and particularly suited for round bottomed hulls. 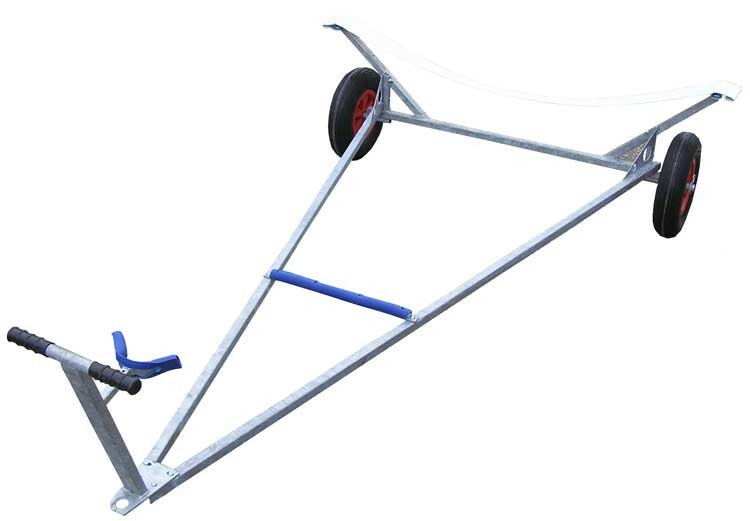 This webbing support trolley is for boats up to 12 foot 6" or 3.8m long and particularly suited for round bottomed hulls. 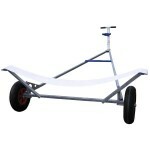 It uses a 5 inch webbing strap to support your boat in the middle and a standard 'D' rubber support at the front. 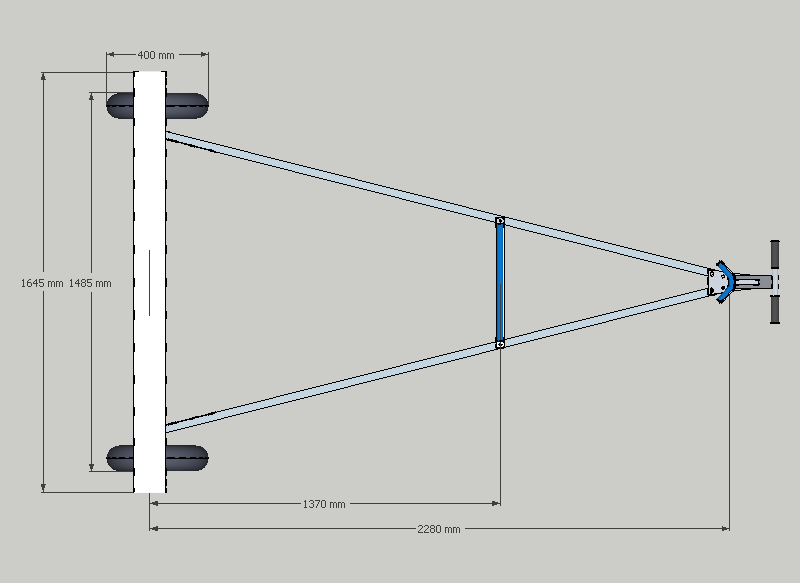 - Greater support for the boat, because the webbing support is 5 inches wide (130mm). 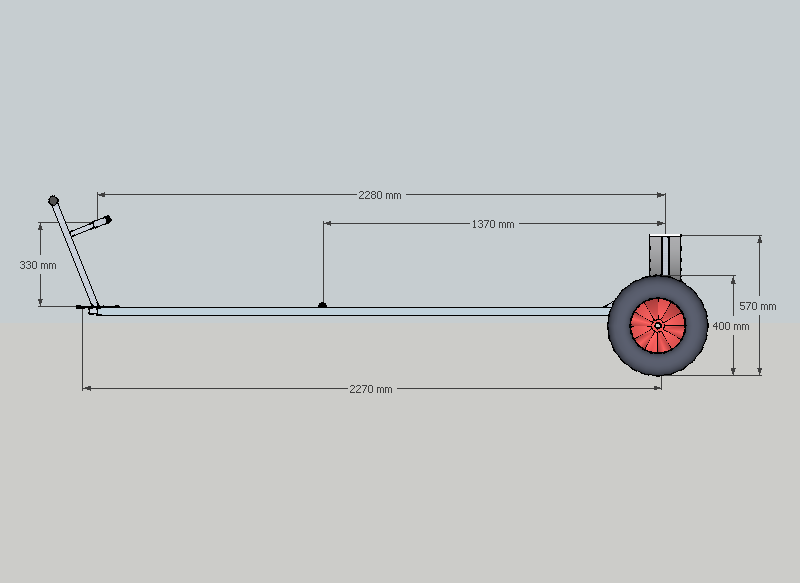 - On round hulls the load is evenly distributed across the boat. 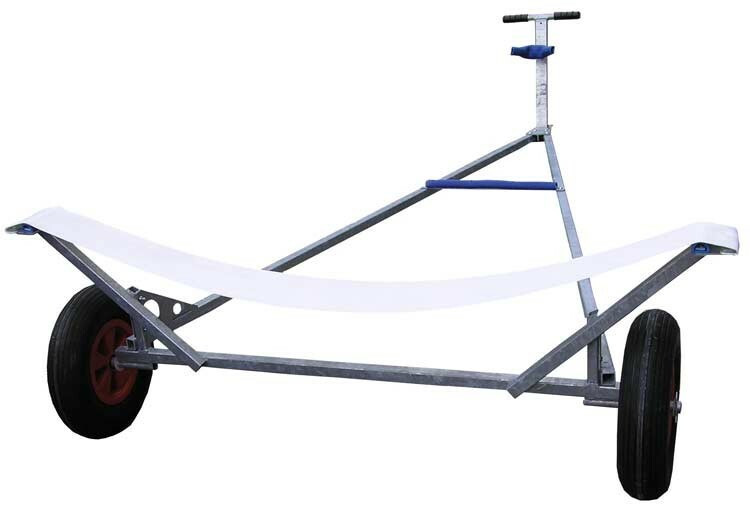 - Any other dinghy or small boat upto 12ft6 long or 3.8m (Please note if you are putting an outboard motor on the back you will need a longer trolley). - 5 inch webbing support strap for the centre of the boat. - 'D' rubber support at the bow. 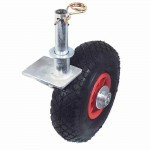 - 16 inch pneumatic tyres, with plastic hubs, totally corrosion resistance. 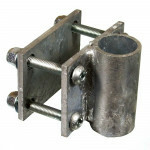 - Supplied flat packed to allow shipping and supplied with tools and instructions (allow 15 minutes for assembly). 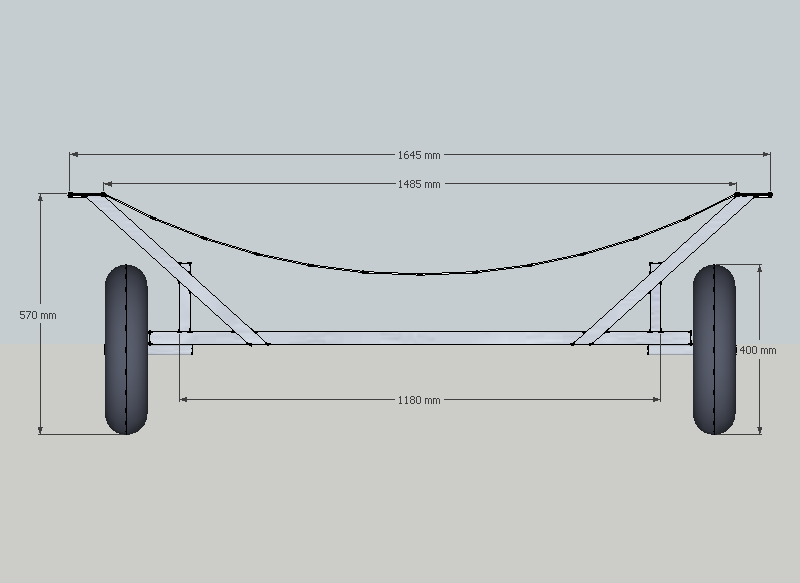 Add a nose wheel and bracket to make handling the trolley easier (it saves the need of lifting the front of the trolley). 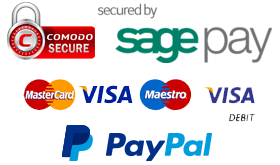 Service rating : excellent service every time. Product : Brilliant fits my RS 200 really well. The webbing support seems work better than the traditional cradle support because it holds the boat safely regardless off the angle the boat is. very helpful with an accidental double order!